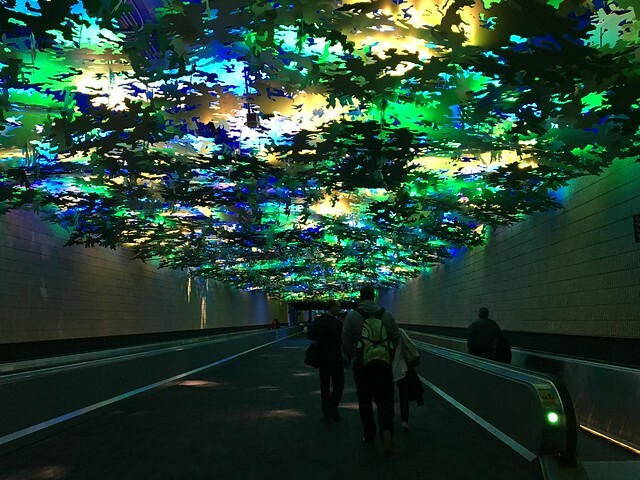 BEFORE I got to Austin, I had a flight through Atlanta - which I've never been to before! 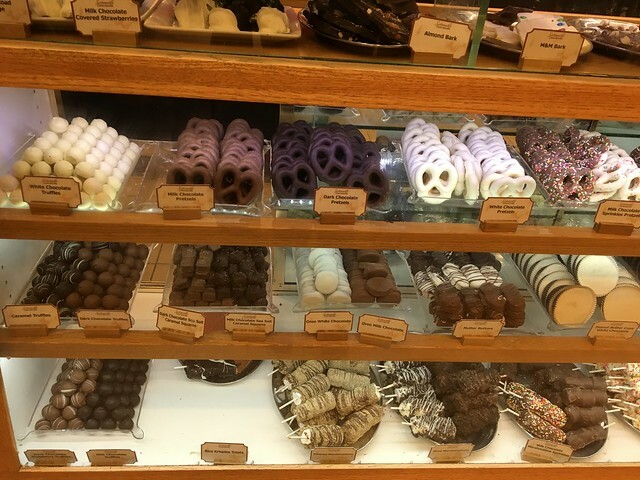 I need to go back and visit the actual city, too, but I wanted to tell you about this delicious chocolate I had. Savannah's Candy Kitchen is apparently a ~thing~ in Atlanta, so I stopped by this shop in the airport to check it out. From a mother’s kitchen in Woodbine, GA to Savannah, GA, candy from the Strickland kitchen is still down home delightful. The man behind the famous Savannah, GA Candy is, Stan “The Candy Man” Strickland. The story begins in Woodbine, Georgia where his mother worked in a candy factory known for their Pecan Pralines, Log Rolls, Glazed Pecans, Peanut Brittle and Divinity Candy. At home, would always make candy and pralines, especially during the holidays. She was an old-fashioned baker who measured with the “cup” of her hand and always used the best fresh ingredients. For Stan’s mother, cooking and baking was an art form. Stan baked with his mom in the kitchen learning how to make her spectacular homemade Southern delights. Stan decided to share his family’s sweet Southern delights with others at his Savannah, GA candy company. Over thirty years ago, Stan opened Savannah’s Candy Kitchen on historic River Street. Visitors quickly discovered that Stan’s kitchen was the place to experience and taste down home Southern sweetness. In order to keep up with the demand for his candy, Stan had to expand; he made sure to keep his recipes fresh and homemade no matter how big the kitchen grew. 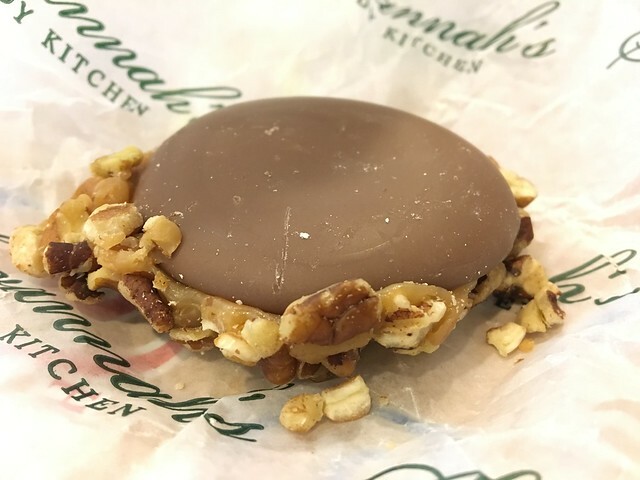 Now the original Savannah’s Candy Kitchen store on River Street occupies over 4,200 square feet and every square foot is filled to the brim with the best candies, cakes, and confections in the South. He has also added new stores in Savannah's City Market, the Atlanta Airport, Charleston, Nashville, and National Harbor, Maryland. 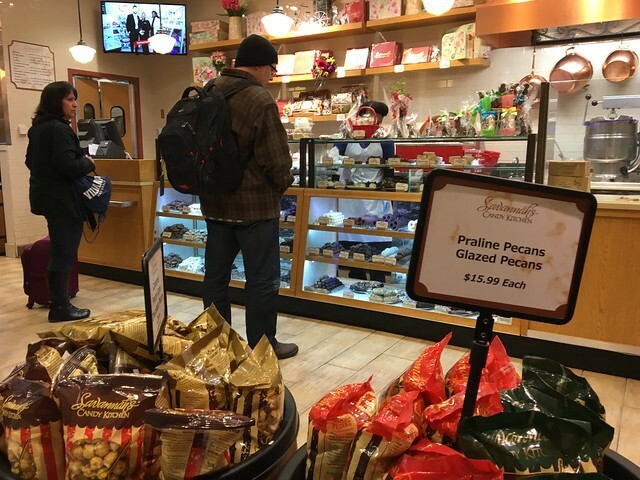 Our Savannah pralines have put us on the map and let us expand our candy selection to include all kind of wonderful Savannah sweets including Savannah cakes, pecan pies, pecan log rolls, glazed pecans, praline layer cakes, and much more. We are the largest candy company in the Southeast and we are proud to share all of our creations. We are so confident in our products that we offer a 100% satisfaction guarantee. If you are unhappy with your item for any reason we will gladly refund your money or ship you a replacement at your request (OUR STORY). While I had no idea what a gopher was, I did know I needed it in my mouth as soon as I saw it. Shop our hand made Gopher Turtles and see why they are consistently one of our Best Selling items. 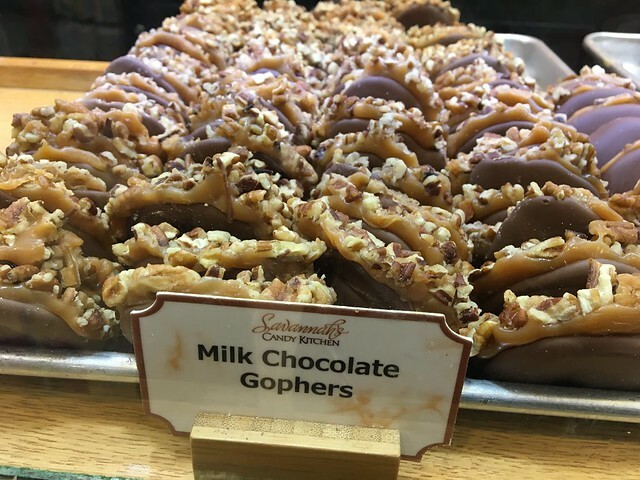 These wonderful creations come in Milk Chocolate Gophers, Dark Chocolate Gophers, and White Chocolate Gophers with pecans or peanuts. To create a perfect Gopher Turtle we first make a batch of caramel from scratch, stirred by hand in our authentic copper kettles, then pour this over a bed of the best pecan pieces, and finally finish it off with a rich chocolate topping. These wonderful Southern Sweets are a staple in many of our Gift Baskets Online, because our customers love them! These things are super good! I mean, how could it not be? The thing that stuck out to me, though, is the chocolate itself is milky, creamy goodness. And, everything else is just icing on top!